Ever since the introduction of the electronic visa system, Turkey has issued more than 16 million visas to foreign travelers. According to the Turkish government, the country has issued 16 million visas between April 2013 and 1st January 2017. Earlier on 25th January, Turkish Foreign Ministry has announced that the country has received more than USD 355.30 million in visa fees from foreign visitors during the aforementioned period. According to the ‘Hurriyet Daily’ News, Turkey has received more than 18.5 million applications for e-visas during the period out of which, only 16.2 million e-visas were issued. That means, over 17,000 e-visas issued on a daily basis. Britain tops the list of e-visa recipient countries with 4.6 million visas during the period. Another European nation, Netherlands also received 1.8 million e-visas. Surprisingly, Iraq has received about 2 million e-visas during the period. Iraq, a country, which is currently under the banned list drafted by US government. 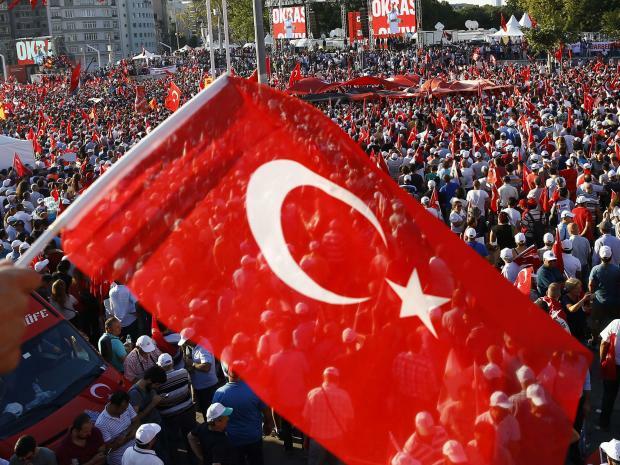 Turkish Foreign ministry has said that the largest number of e-visas issued per day, touched 46,747 on 13th July 2015. Ever since the introduction of e-visa system, Turkish embassies and consulates across the world witnessed minimized queues, as most of them opted for electronic visa process. All it takes for an applicant is to provide valid information on the portal after which, they have to pay visa fees by using any of the specified payment modes. After successful payment of visa fees, the applicant would receive a visa electronically.